Riyadh, April 2: The children of murdered Saudi journalist Jamal Khashoggi have received million-dollar houses in the kingdom and monthly five-figure payments as compensation for the killing of their father, a media report said. 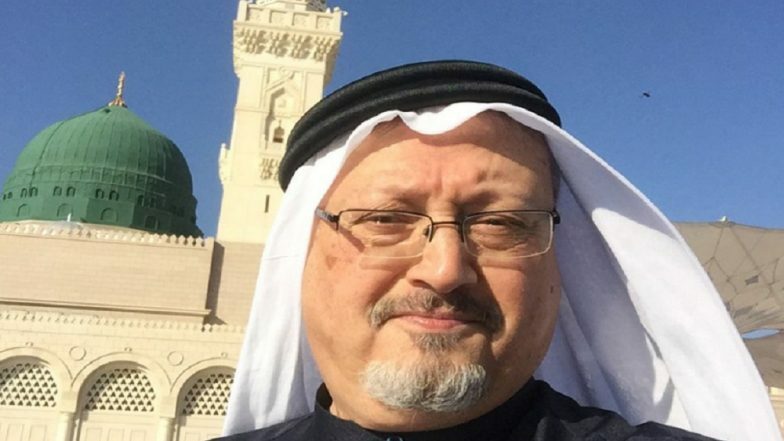 Khashoggi, a Washington Post columnist and a critic of Saudi Arabia's Crown Prince Mohammad bin Salman, was killed and reportedly dismembered in October at the kingdom's consulate in Istanbul by a team of 15 agents sent from Riyadh. His body has not been found. The Washington Post cited current and former Saudi officials as well as people close to the family as saying that Khashoggi's two sons and two daughters may also receive much larger payouts - possibly tens of millions of dollars apiece - as part of "blood money" negotiations that are expected to ensue when the trials of Khashoggi's accused killers are completed in the coming months. According to the report, the previously undisclosed payments were part of an effort by Saudi Arabia to reach a long-term arrangement with Khashoggi family members, aimed in part at ensuring that they continue to show restraint in their public statements. The Khashoggi siblings have refrained from any harsh criticism of the kingdom even as their father's death led to global outrage and widespread condemnation of the Saudi Crown Prince. Jamal Khashoggi Murder Fallout: Rift between Saudi King Salman and His Heir Crown Prince MBS. The houses given to the Khashoggi children are located in the port city of Jeddah and are worth up to $4 million, the newspaper reported. The delivery of homes and monthly payments of $10,000 or more to each sibling were approved late last year by King Salman as part of what one former official described as an acknowledgment that "a big injustice has been done" and an attempt "to make a wrong right", the report said. A Saudi official described the payments as consistent with the country's practice of providing financial support to victims of violent crime or even natural disasters and rejected the suggestion that the Khashoggi family would be obligated to remain silent. Salah Khashoggi, the eldest son of Khashoggi, is the only sibling who intends to continue living in Saudi Arabia, according to people close to the family. The others reside in the US and are expected to sell their new Saudi properties. The Saudi Crown Prince has been accused of planning Khashoggi's killing, but the kingdom has claimed that he was not involved. The kingdom initially said it had no knowledge of Khashoggi's fate but amid mounting international pressure acknowledged that he was killed at the Saudi consulate in a rogue operation. The Central Intelligence Agency (CIA) concluded that the Crown Prince had ordered Khashoggi's killing, but US President Donald Trump refused to accept verdict about, saying, "Maybe he did, maybe he didn't." The Washington Post reported that the issue of how far to go in protecting their father's legacy has been a source of tension among the Khashoggi siblings, according to people close to the family. The daughters have at times pushed to be more outspoken about their father's life and the kingdom's ruthlessness, while the brothers have focused on maximizing the amount of money the family will collect. The report said that at one point in the weeks after his father's death, Abdullah Khashoggi told advisers working with the family that he wanted to punish the royal court by going after one of the Crown Prince's prized possessions. "I want the Da Vinci," he said, referring to a painting by the Renaissance master that the Crown Prince paid $450 million for in 2017.